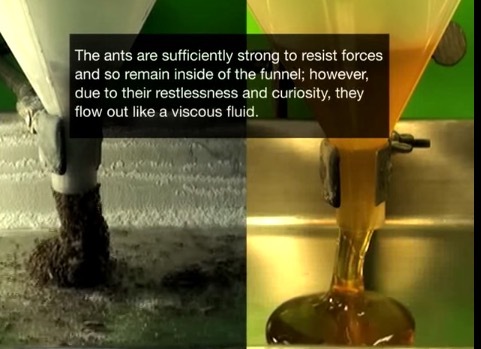 (Physicist Daniel) Goldman’s team created computer simulations of two ant colonies digging tunnels. In one, the virtual ants mimicked the real insects’ unequal work split; in the other, all the ants pitched in equally. The colony with fewer heavy lifters was better at keeping tunnel traffic moving; in three hours, that colony dug a tunnel that was about three times longer than the group of ants that all did their fair share. Goldman’s team then tested the fire ants’ teamwork strategy on autonomous robots. These robots trundled back and forth along a narrow track, scooping up plastic balls at one end and dumping them at the other. Programming the robots to do equal work is “not so bad when you have two or three,” Goldman says, “but when you get four in that little narrow tunnel, forget about it.” The four-bot fleet tended to get stuck in pileups. Programming the robots to share the workload unequally helped avoid these smashups and move material 35 percent faster, the researchers found. “Holy crap. I have never, in my entire career as an ant researcher, seen *anything* like this,” tweeted Alex Wild, curator of entomology at University of Texas at Austin, in response to the image below. Of course, Wild told me, it is all perfectly logical. “They actually love floods,” says Wild. 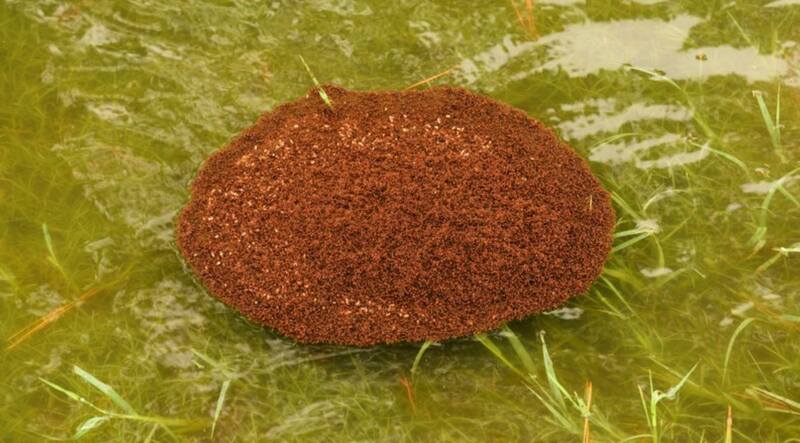 “It’s how they get around.” Fire ants displaced by water form rafts; a lot of fire ants displaced by a lot of water will form really big rafts. But still! The sheer size of them is incredible. 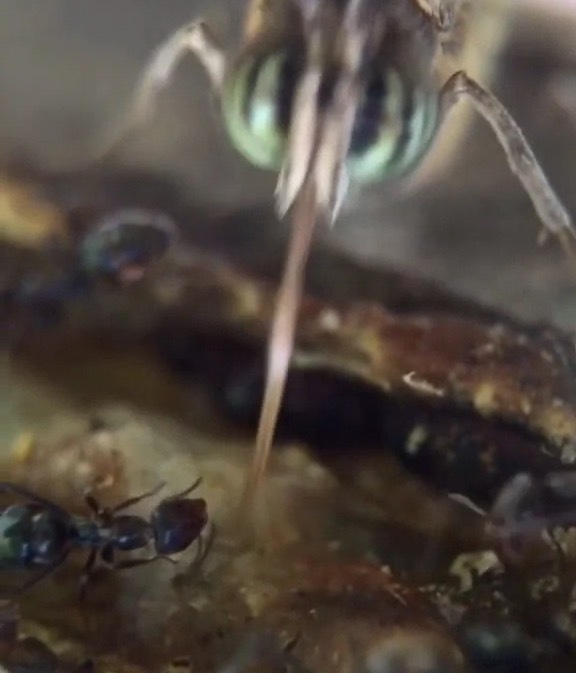 Ants Eating Stuff to Stock Music is "Nothing more than oddly satisfying time-lapse videos of ants eating stuff all set to random stock music." It's interesting how the ants covered the Rice Krispie Treat and McDonald's Hot Apple Pie with cut leaves. Why? 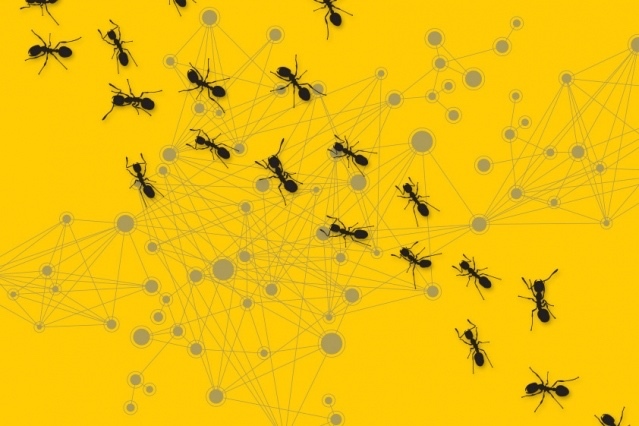 Musco and his coauthors — his advisor, NEC Professor of Software Science and Engineering Nancy Lynch, and Hsin-Hao Su, a postdoc in Lynch’s group — characterize an ant’s environment as a grid, with some number of other ants scattered randomly across it. The ant of interest — call it the explorer — starts at some cell of the grid and, with equal probability, moves to one of the adjacent cells. Then, with equal probability, it moves to one of the cells adjacent to that one, and so on. The biologists… have found that the workers fall into three social groups that perform different roles: nursing the queen and young; cleaning the colony; and foraging for food. The different groups move around different parts of the nest, and the insects tend to graduate from one group to another as they age, the researchers write in a paper published today in Science. “The paper is a game-changer, in the size and detail of the data set that was collected,” says Anna Dornhaus, an entomologist at the University of Arizona in Tucson. 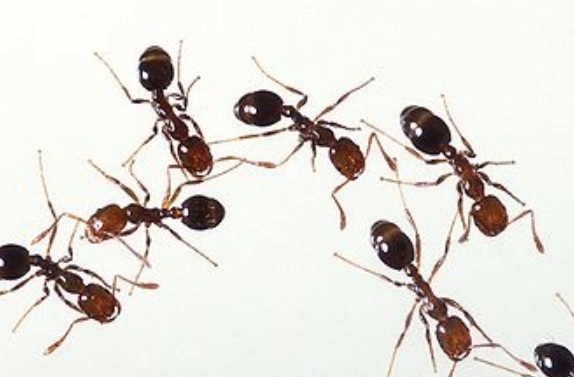 There's a war on in America, pitting invasive ant against invasive ant in a fight to the finish. It's sort of like Alien vs. Predator, in a way, because whoever wins ... we lose. Argentine ants (the reigning champions) have wiped out native ant species in many of the environments they've invaded over the years, affecting the survival of other animals that used to feed on those ants. Worse, they have a fondness for certain agricultural pests, like aphids. In places with lots of Argentine ants, aphids do very well — and plants do worse. But now the Argentines are facing a serious challenge in the form of Asian needle ants, another invasive species that — for reasons nobody really understands — have suddenly gone from minor player to major threat in the last decade. 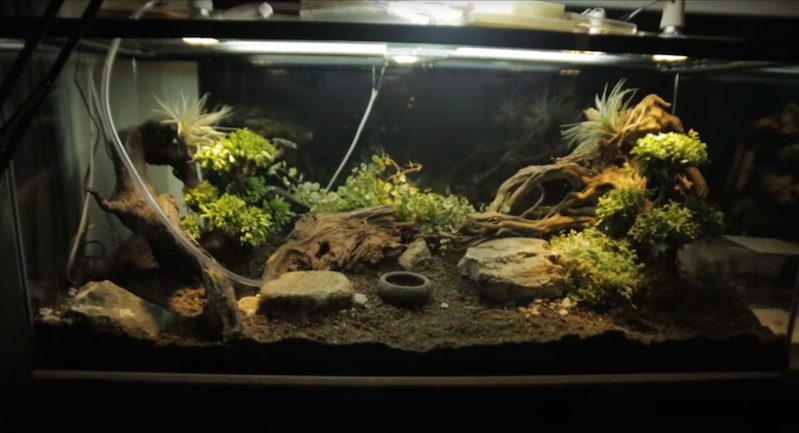 The big downside to Asian needle ants: They sting. They sting us. And, right now, it looks like they're winning. Why put magnetic paint on ants?